View More In Shower Accessories. 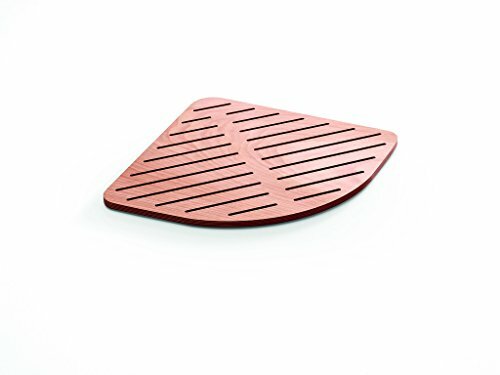 Atlantica Marine Plywood Floor and Bath Shower Spa Sauna Step Mat, Okoume Wood. Modern, unique and functional bath mat. Made of Okoume wood Marine Plywood. Versatile Shower Mat that can serve different purposes. It can be used for the floor also: indoors or outdoors. Stain resistant. - Designed in Italy. - Material: Wood - Finish: Marine Plywood - Type: Floor Mounted - Shape: Triangular - Thinkness: 0.8 inches - Dimensions: 25.2 L x 25.2 D x 0.8 H in. Dimensions: 25.2 W x 25.2 D x 0.8 H in. If you have any questions about this product by LB Bath Collection, contact us by completing and submitting the form below. If you are looking for a specif part number, please include it with your message.